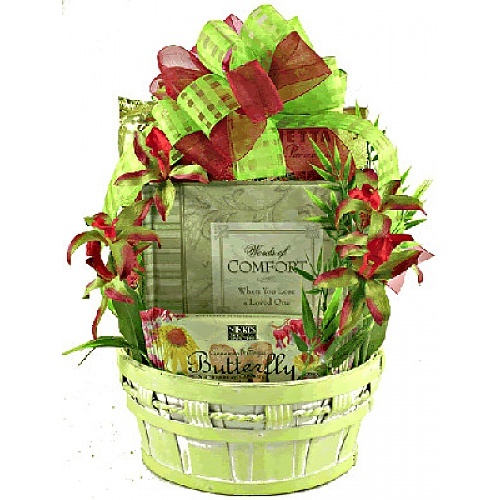 This tasteful gift and gourmet arrangement offers a wonderful sympathy book and a delicious selection of comfort foods, all set in a very unique painted basket adorned with a designer bow and life-like silk flowers. 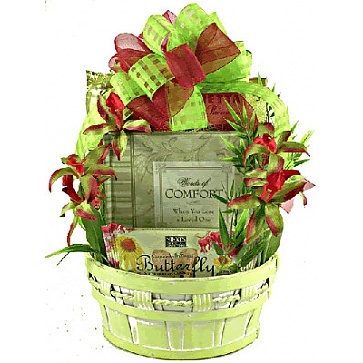 Book titled "Words of Comfort.. When You Lose a Loved One"